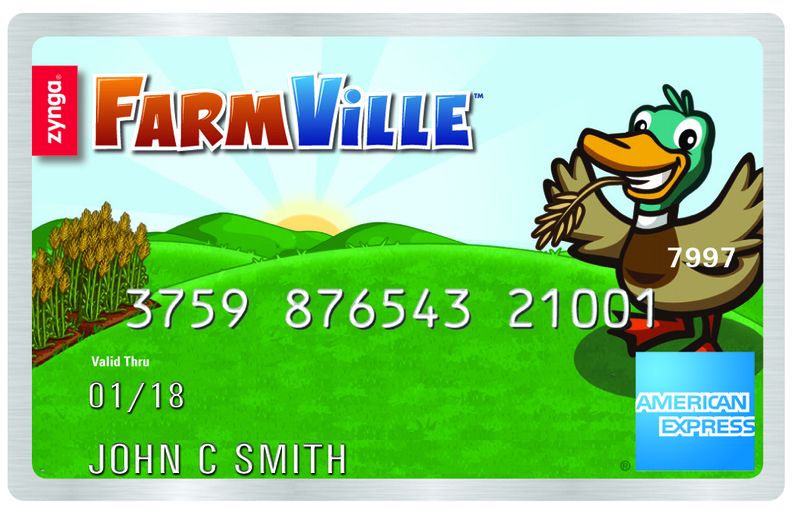 American Express (s amex) is teaming with Zynga (s znga) on a reward program that will link offline spending on its Serve pre-paid cards to in-game rewards in Farmville. It’s a pretty ambitious attempt at boosting the reach of American Express’ nascent Serve product and tying real-world spending to online virtual rewards for millions of social game enthusiasts. The Zynga Serve Reward program will also eventually involve turning Zynga titles into offers platforms, allowing brands to insert deals into games that can be saved to a Serve account and redeemed using Serve cards. The purchases of specific offers will unlock more virtual currency in Zynga games, potentially creating a virtuous cycle for both American Express and Zynga. 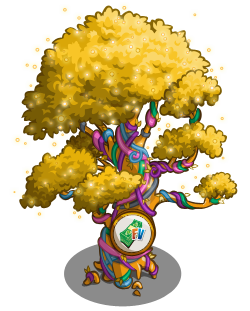 The timing of the branded offers is still yet to be determined. 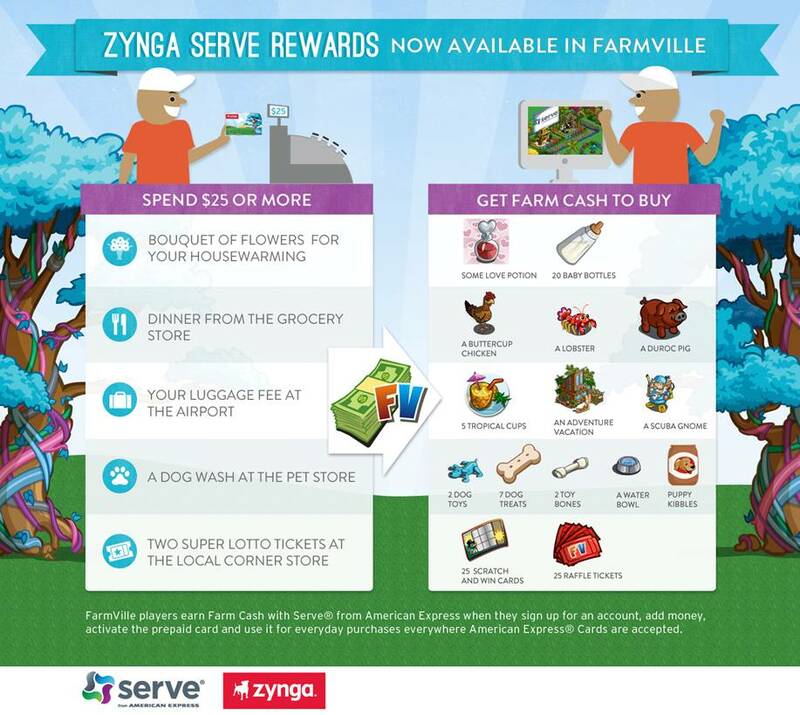 But for now, users can start to earn Farm Cash money in Farmville by registering for the Zynga Serve Rewards program and getting a co-branded prepaid card in the mail. Users can also earn in-game money by connecting a funding source to their card and activating it. Only the first five purchases of $25 or more on the rewards card will earn virtual currency. Other Zynga titles including CastleVille and CityVille will also soon be integrated into the Zynga Serve Reward program. Users will be able to track their rewards through an in-game dashboard and also through their Serve mobile app. Dan Schulman, President of Enterprise Growth for American Express, told me in an interview that this is the first rewards partnership for Serve and the deepest Zynga has allowed a partner into one of its games. He said the partnership allows Zynga and American Express to give social gamers a richer experience and it allows Zynga to become a starting point for offers, with American Express Serve helping close the loop on redemptions. “We’re seeing a tremendous amount of customers in our target market spending time on these (social gaming) platforms. If we can integrate and make their lives easier and customize things like offers and deals and move money back and forth in a social way, that’s tremendously powerful,” Schulman said. This is another example of how American Express is trying to be aggressive using social media to keep its business relevant to users. It’s been working with Twitter, Foursquare and Facebook to distribute offers that can be saved to their American Express card. And it’s growing its presence on Facebook, including a Serve Facebook app that allows friends to pay each other. I think the partnership makes a lot of sense, and could give American Express another way to reach younger users. And for Zynga, it’s another way to drive more usage and it builds on other recent offline rewards promotions. In March, for example, Zynga partnered with Frito Lay to put codes in specially marked bags of chips that would unlock certain virtual goods inside games. If it can expand on this relationship with American Express, it can show how it can make more money off its more than 65 million users.